This post has been sponsored by Collage.com. My father just celebrated his 78th birthday. It feels like we just celebrated his 70th. I really wanted to show him how special he is to everyone and how much we appreciate him for all the caring things he does daily. We ended up gifting to him a photo blanket from both my family and my sister's family. This might be one of the best gifts we've ever given my dad. That we were able to present it to him collectively, made it that much more special. 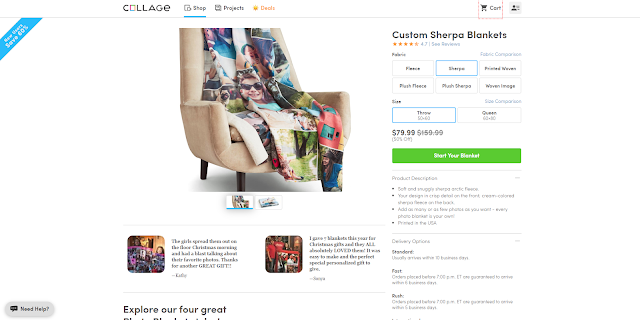 I designed this custom sherpa photo blanket using the tools on Collage.com. 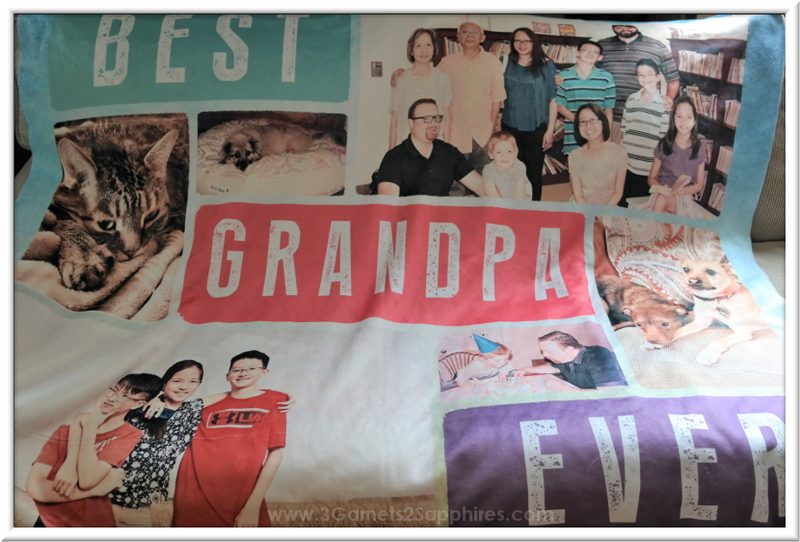 I learned some tips and tricks while doing so that really made this one-of-a-kind blanket into a cherished keepsake for my dad. I'm happy to share what I've learned, so you can create the ultimate custom photo blanket for your loved one. 7 Tips for Gifting the Ultimate Custom Photo Blanket . . .
1. Keep the best part hidden. When presenting your sherpa photo blanket, fold the blanket with the image side facing in. 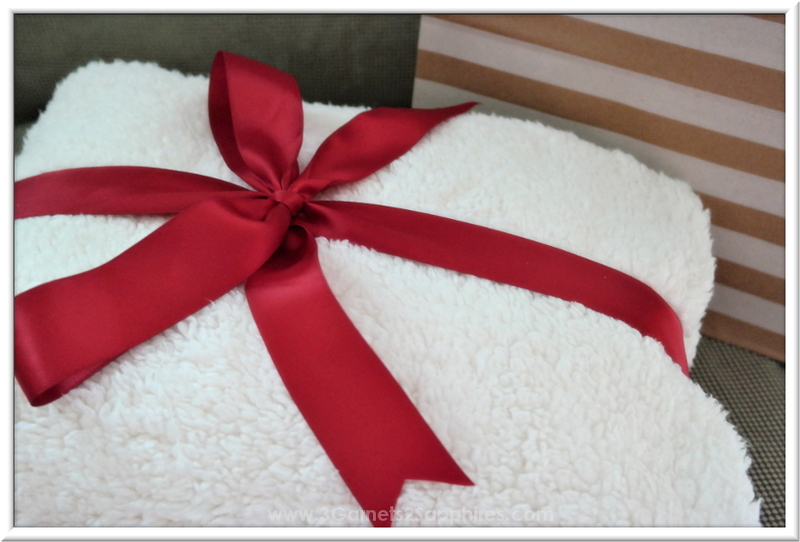 This way, the recipient will see and feel how soft and cuddly the blanket is, while the best part is still out of sight. When your loved one unfolds the blanket, the one-of-a-kind design will be revealed, causing many Oooo's and Aaaaah's to ensue. 2. Select photos from both the past and the present. Before you even think about choosing a layout, carefully select which photos you would like to include on this photo gift. Consider choosing photos from important past memories, such as a wedding, a graduation, or a favorite photo of someone who is no longer with you. Also include photos from the present to represent things that make your loved one smile today. 3. Choose a blanket that suits the recipient's lifestyle. The sherpa throw was perfect for my dad because we live in New England. He will be able to cuddle up with the throw while watching football during the chilly fall and winter months. A queen size blanket would be too large for his needs. 4. Choose a template that accommodates and shows off your selected photos best. There is a large selection of pre-made templates to choose from on Collage.com. If you don't see one that fits your needs exactly, you can always create your own. Remember that some templates have areas that can be customized. 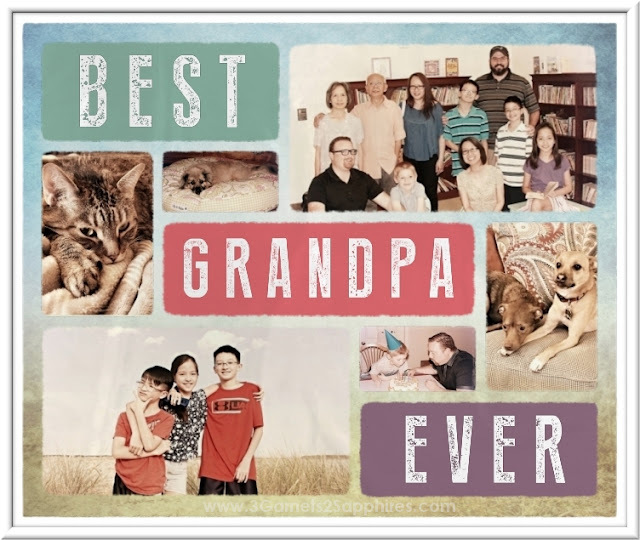 For example, the template I chose originally said "Best Grandma Ever", but I was able to change it to say "Grandpa" instead. I was also able to change the the font size and reposition the text. 5. Use the same filter on all your photos. Since you are using photos taken at different times and in different places, they may not look cohesive when displayed together. Running them through the same photo filter will help with that. For example, I applied the San Carmen filter to all my photos. 6. Use the highest quality photos in the larger photo fields. Likewise, reserve the lower quality photos for the smaller photo fields. If you have a photo that is a little dark or could be crisper, you can use the built-in photo editor on Collage.com to brighten, sharpen, and crop your photos. 7. Select a background that suits your photo collage. Although it may not seem intuitive, you should choose your blanket's background when the rest of the design is complete. Select a background that shows off your photos best. Try to avoid backgrounds with colors that clash with your design, and backgrounds that compete with your photos for attention. You want your photos to be the stars of the show, not the background. 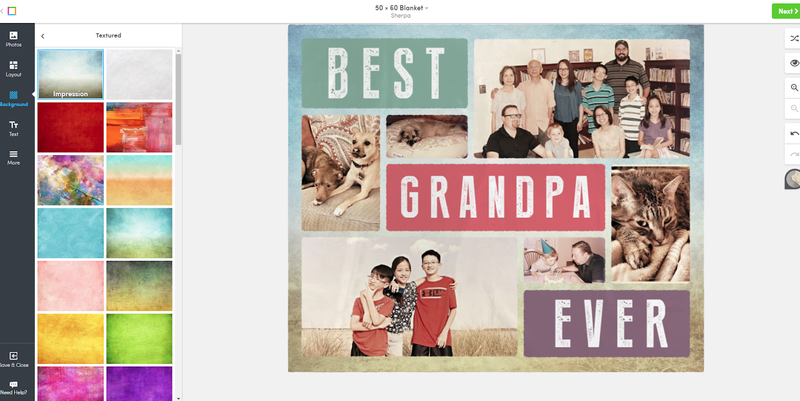 I have to say that choosing the photos for my dad's blanket was the most difficult part of this project. Once I had settled on those, the tools available on Collage.com made the whole process super-easy. There's also a guide that tells you what date you should receive your photo gift by for each shipping method, so you can be sure to receive your gift in time for Grandparent's Day, Christmas, or any other special occasion. Be sure to check for photo blanket deals and free shipping deals on Collage.com before ordering. Like this photo gift idea? Pin it for later . . .
Who do you know who would love a photo blanket of their very own?